As much as I love the decorations for Valentine's day, I think I love the treats even more! I have a HUGE sweet tooth, and all the treats around this time of year really do me in! Have a look at some of these amazing creations! I'm a sucker for herbal tea AND hot chocolate, this is the best of both worlds! 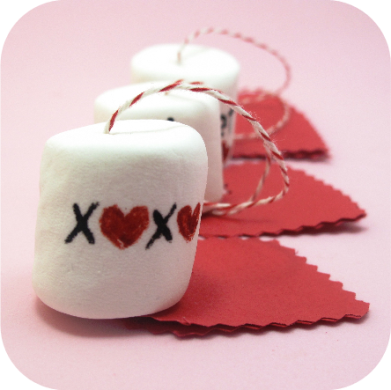 Check out these dunkable marshmallows (plus many more adorable Valentine treats) from The Decorated Cookie. These candy roses are so pretty, it's hard to believe they are made from gum drops! Get the tutorial @ Crafterberry Bush. I've never seen SHAPED chocolate chip cookies! Get the recipe at Great Oak Circle. Have you ever tasted homemade suckers? They are THE BEST! Love the little convo. hearts in these from Roots And Wings Co. I LOVE shortbread cookies! 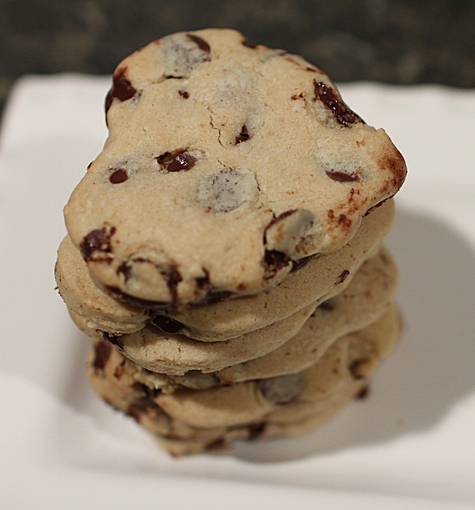 These filled cookies by The Prudent Homemaker look AMAZING! Somebody get me a napkin to catch my drool! HELLO! This Raspberry Truffle Ice Cream Torte over @ Egg And Twig looks like a slice of heaven! 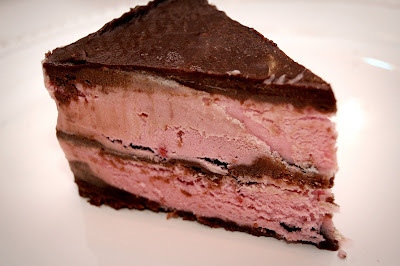 Megan, you're so "sweet" to feature my torte. :) I'd definitely share some with you if I could! Thank you so much for linking to my Mom's amazing suckers! So many fun things to check out!